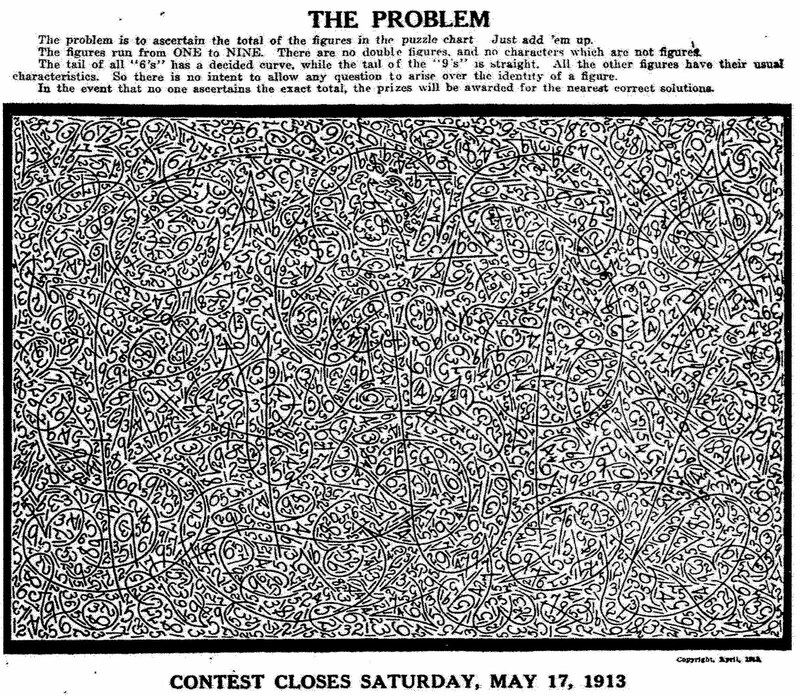 " The PROBLEM is to ascertain the total of the figures in the puzzle chart. Just add 'em up. The figures run from one to nine. There are no double figures, and no characters which are not figures." 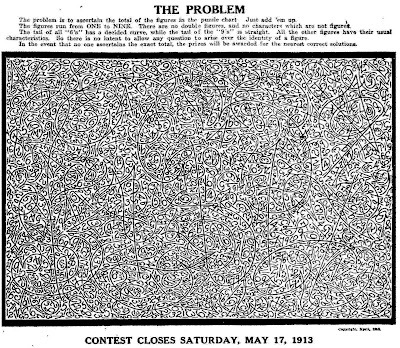 This adding contest appeared in newspapers in May of 1913. I get a headache just thinking about adding up these numbers. How Did Memorial Day Start?